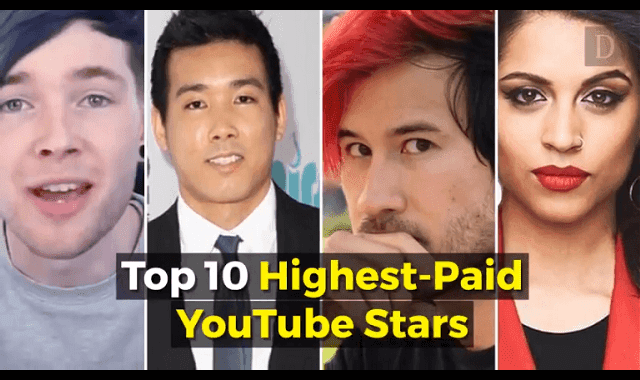 Top 10 Highest Paid Youtube Stars #Video ~ Visualistan '+g+"
It's no secret that YouTube's biggest stars are using sponsored videos and advertising to make a living on the platform in addition to making a name for themselves. Over the past few years, some of them have even snagged big-time shows from services like Netflix or YouTube Red, the company's subscription tier. But who on YouTube is getting paid the most?